When you or a loved one are convalescing at home, the last thing you want to do is head out to try and find all of the equipment you may need to make the recovery period as comfortable as possible. We have an extensive range of healthcare equipment including wheelchairs, hospital beds, walkers, and a lot more which we deliver to your door. With our fast delivery within the Adelaide and Central Coast regions, we can take the stress away! We can also bundle equipment packages for those times when you just don’t know what you need. We enjoy what we do and do it with a smile so you can rest assured you are going to get the best service possible. 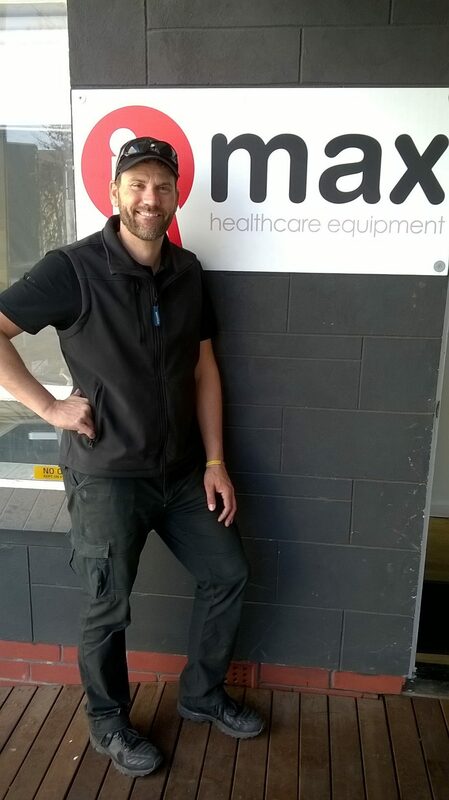 Patrick is the Adelaide office/warehouse manager so he knows his stuff and is eager to help where ever he can. With a friendly nature, Patrick will ensure your equipment is delivered on time every time and do it with a smile. Allan has learnt about medical aids and equipment through exposure throughout his 40 years experience in the pharmaceutical industry. With an Occupational Therapist daughter, Allan is lucky enough to have expert guidance and knowledge on tap! Allan thoroughly enjoys meeting people in the home environment and gets along with all age groups, and pets alike!! 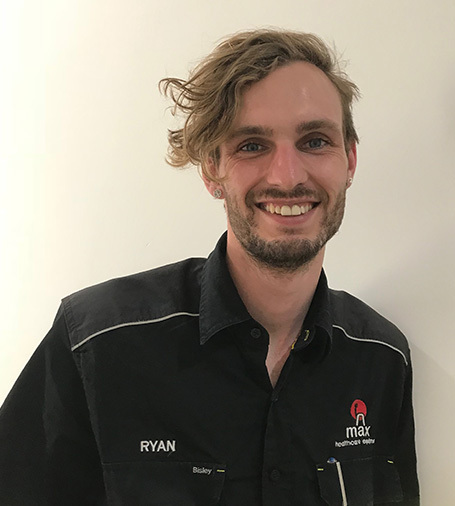 Ryan is a jack of all trades within the Max team! He helps out in the office, and also delivers equipment so you may see his smiling face on your doorstep for your next drop off. 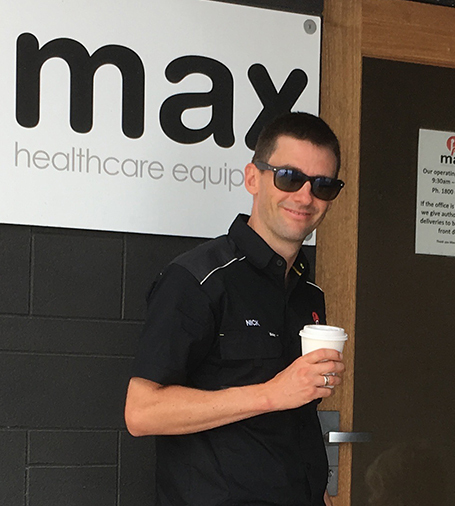 Nick leads the team at Max but also spends time in the thick of it as the rest of the team has but Nick has spent his career making sure that customer service leads the way. It makes no difference if you are selling ice cream, media space or healthcare equipment, there is nothing more powerful and enjoyable than surpassing your customers expectations. 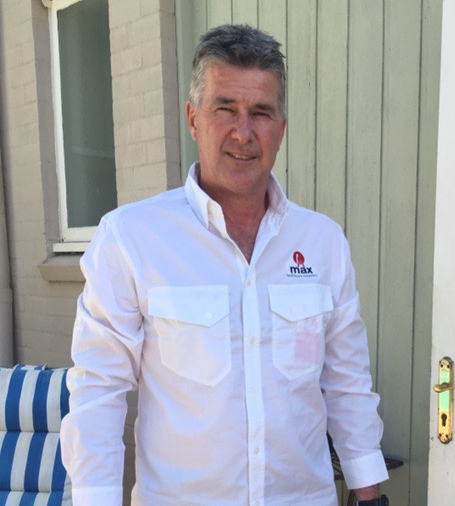 Mumbles runs our Central Coast operation in New South Wales. He has a passion for people and for surpassing their expectations so you will no doubt get a smile and great service when you deal with him. 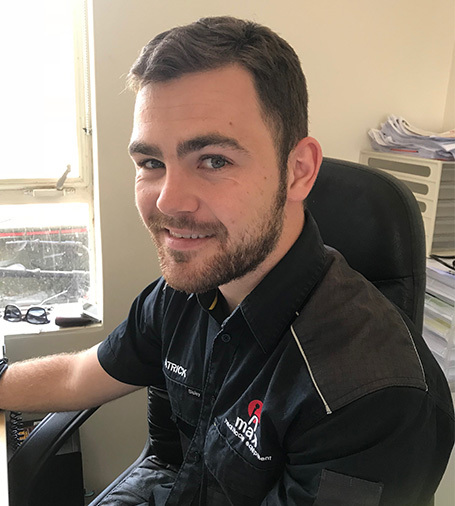 Amii works hard within our Adelaide office/warehouse to ensure that everyones questions are answered, bills are paid and equipment is delivered on time. Peter is our newest member to the team and has fit in perfectly. With an enthusiastic nature, he is on the road delivering products out to customers with a smile.